At the beginning there was a crazy idea, which soon changed into a big dream. The dream is almost reality. Who is Eva waving at? Who is lady Betka angry with? 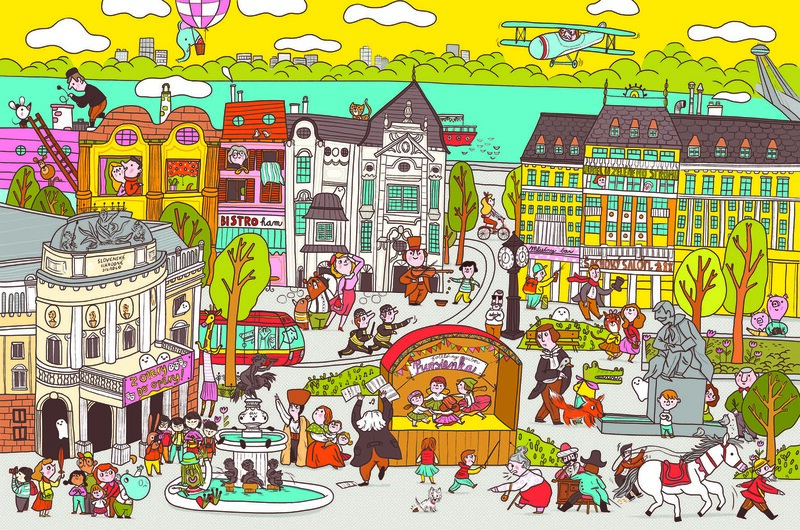 The children will discover many other stories in the picture book Bratislava – search and find. 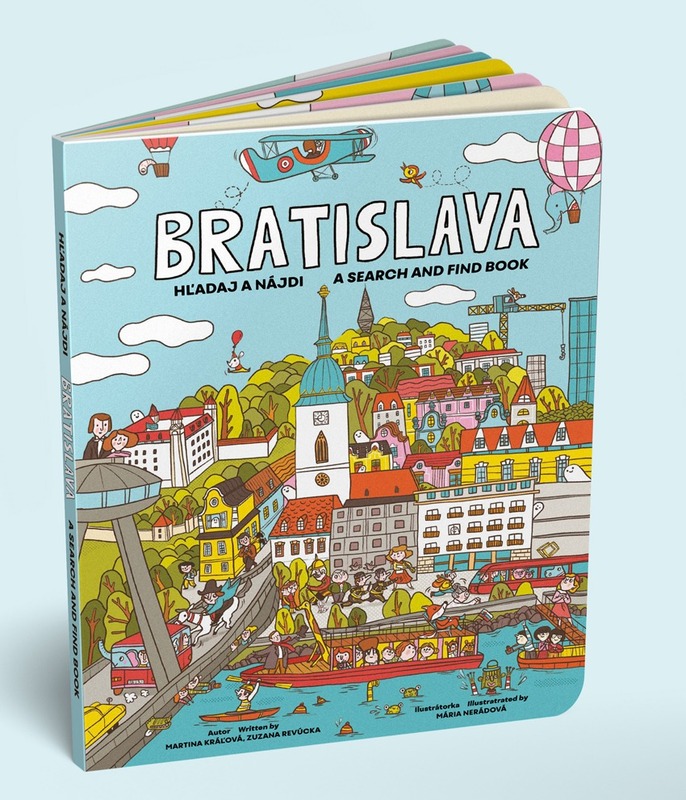 We have created an picture book for kids about the capital of Slovakia – Bratislava. The kids alone or with their parents discover the capital city in an entertaining and educational way. They can follow the stories of the main characters on 14 pages. The children train their attention, imagination and phantasy. 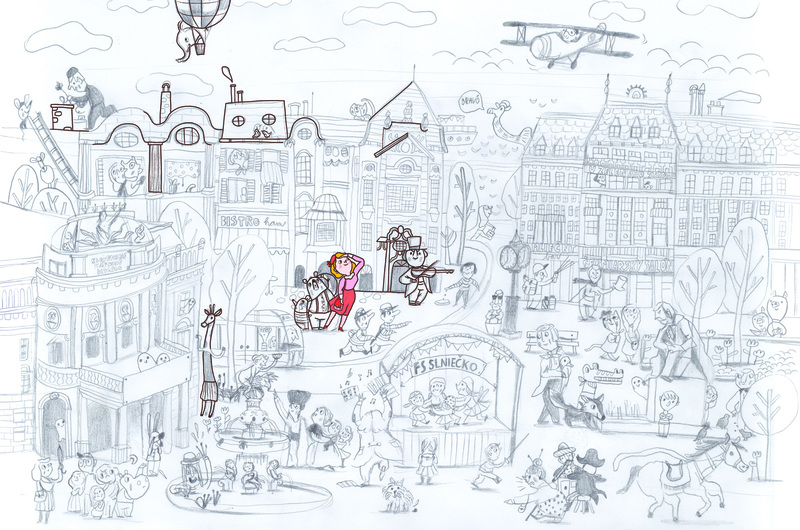 The main characters are introduced in the beginning of the book, the other ones can be found while reading. At the back of the book there is a illustrated map of the old city with the main landmarks.